Recent changes to Texas law (Chapter 801, Occupations Code) require that all licensed veterinarians, licensed veterinary technicians (LVTs), and licensed equine dental providers (EDPs) submit fingerprints to the Board for purposes of performing a criminal history record information check. The Pharmacy Board has started the implementation of H.B. 2561 which passed in the 85th legislature. During this implementation an e-mail was sent from the Pharmacy Board’s PMP vendor to licensees which may appear to be spam. The Pharmacy Board confirmed that the email is authentic. The 85th legislature passed H.B. 2561 which in part requires health care practitioners to report dispensing of controlled substances to the Prescription Monitoring Program (PMP) at the Board of Pharmacy. 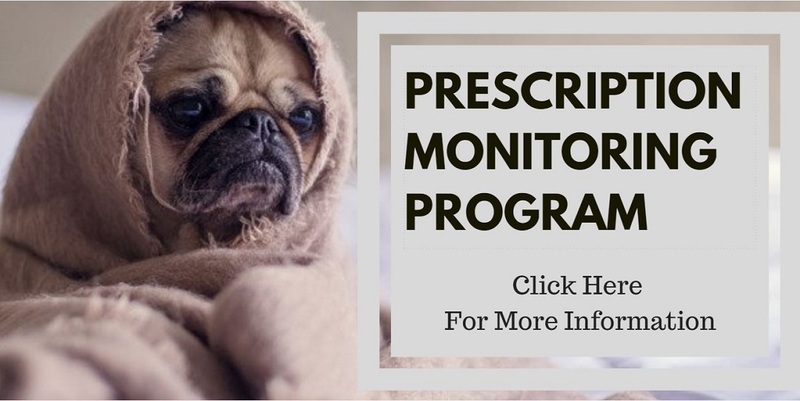 Veterinarians were specifically exempted from the requirement to review the PMP prior to prescribing medications to a patient. However, the requirement placed upon the Board of Pharmacy to automatically create a user account for the health care practitioner does apply to Veterinarians. To comply with H.B. 2561 the Board of Pharmacy is requiring that the Board of Veterinary Medical Examiners (TBVME) provide the e-mail address for each veterinarian licensed in Texas. TBVME has provided the e-mail address under “Business e-mail” as the primary email address. The Board of Pharmacy will then automatically create a PMP account and email the information to the business address. If you would like to change the e-mail address for receiving PMP notifications after the PMP account is created, you will need to contact the Board of Pharmacy to initiate the change of PMP email address. Information about the PMP may be found on the Board of Pharmacy’s website or the linked PMP information PDF. Austin, Texas - April 5, 2018 - Texas Board of Veterinary Medical Examiner's Executive Director, John Helenberg, has released a statement regarding the Board's enforcement of Rule 573.43 (Controlled Substance Registration) which clarifies the DEA Registration requirements. At the December 5th, 2017, the TBVME Board voted and passed new licensing fees that went into effect January 1, 2018. A complete list of fees can be found by clicking here or you may download a copy of the Rule in Adobe PDF format by clicking here. Senate Bill 807 (84th Legislative Session) eliminates the application and examination fees for military veterans, active military service members, and military spouses. To implement this change, the application instructions have been changed to reflect the type of documentation required to claim the military fee waiver. The fee waiver applies only to applications received after September 1, 2015. Please see the application instructions for more information. All license types are eligible for this fee waiver.